KPI dashboard support is one of the most interesting features of Linutop mini PCs. Discover the peculiarities of this communication tool before choosing the Linutop that best suits your needs. Why should you get a KPI dashboard? KPI dashboard is the ideal tool to manage your company with the best efficiency as you can display simple slides to HD movies ! KPI dashboard can also be used to play audio files. KPI dashboard will ensure a fast and easy broadcast of information towards your customers or employees. Linutop mini computers have other advantages. Since they are fanless, they consume very little energy. Indeed, Linutops need 10 fold less energy than ordinary PCs to operate and are an ideal choice for professionals intending to use them all day. 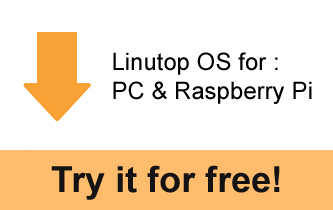 They can turn into web kiosks within a few clicks thanks to Linutop Kiosk software.